Authoritative, detailed guides to the things you're curious about! You can help monarch butterflies by planting milkweed, the food plant they need to survive. This article will explain where to get seed, how to attract monarchs, and why it will make a real difference. How Does Planting Milkweed Help? According to the 2018 Monarch Butterfly Count, the magnificent orange and black monarch is a threatened species. This means that its population is under serious pressure and susceptible to crashing. 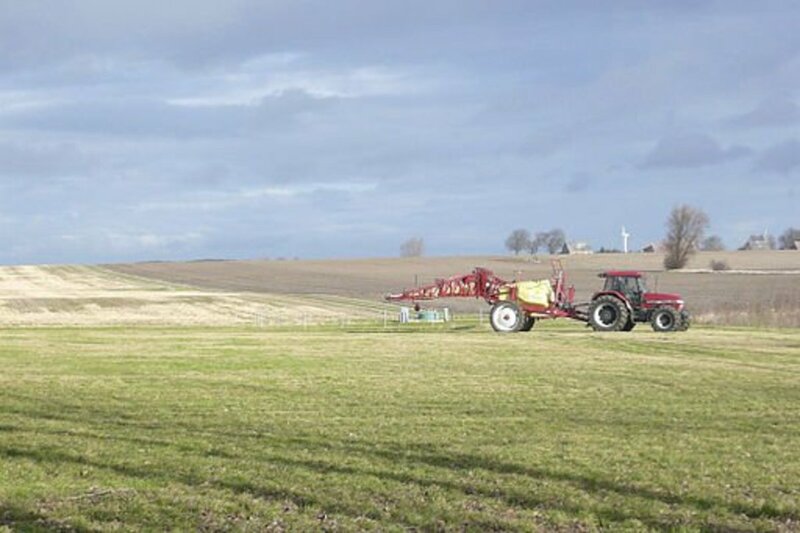 There are many theories about how this situation came about, including the use of pesticides on agricultural fields. 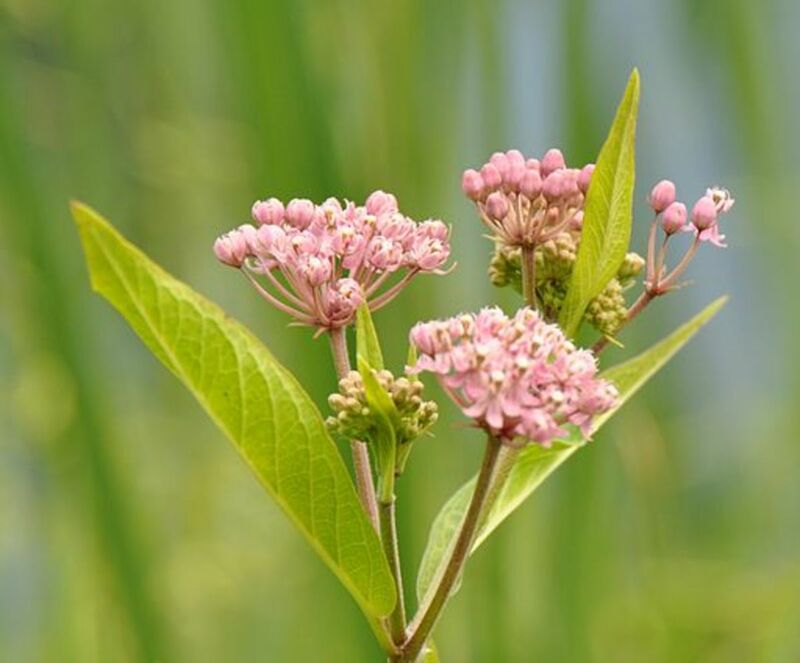 According to this theory, the toxic pesticides seep into the surrounding roadsides and fields, killing many wild plants, including the milkweed plant (Asclepias syriaca). Monarch butterfly caterpillars only eat milkweed. Without an abundance of this plant, the species is in trouble. Milkweed is easy to grow. It has big, beautiful flowers that will attract all kinds of butterflies, including monarchs. 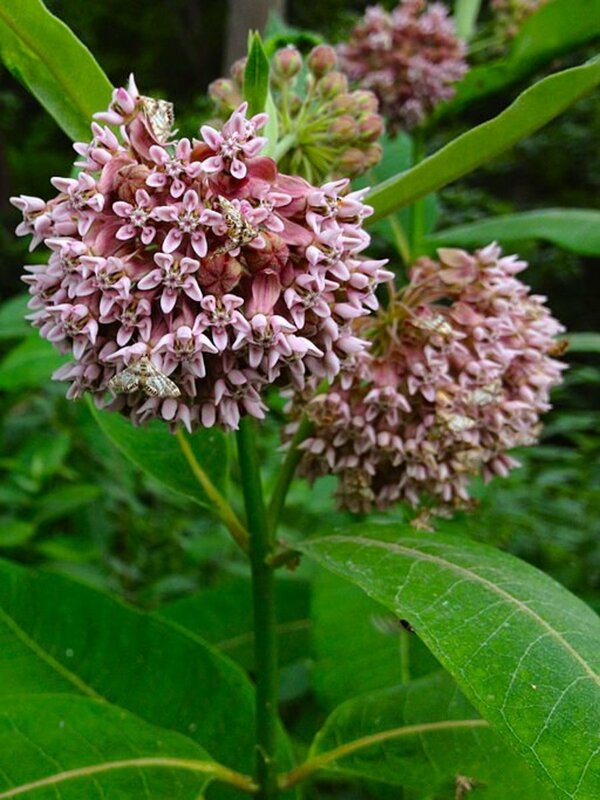 In fact, the popular plant "butterfly bush" is a species of milkweed! It's simple to start bringing the monarchs back by growing milkweed. The good people at monarch watch.org have created a campaign to bring back monarchs by helping us plant milkweed. 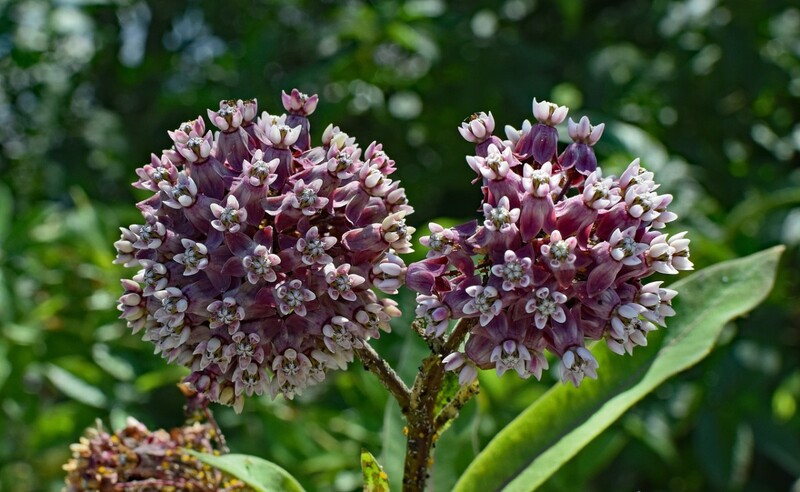 Their website provides a list of milkweed seed suppliers throughout the country, as well as excellent tips for finding and spreading wild milkweed on your own. This is a great example of a motivated group of people devoting time and energy to great cause, and they deserve our support. If you have ever watched a big orange butterfly drifting on the breeze and sensed the endless beauty and power of nature, then you must realize what's at stake. To understand the most likely reason for the decline in monarch butterfly numbers, you need to know a little about the life-cycle of the insect. Like all butterflies, the monarch goes through four stages of development. This is called "complete metamorphosis," and in this case it means the insect begins life as an egg, which hatches into a caterpillar. The tiny caterpillar does nothing but eat, storing energy for the adult phase. 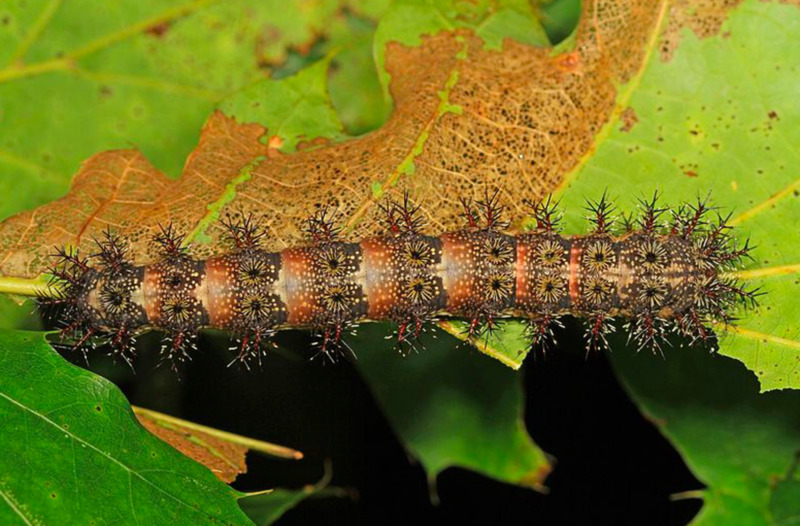 When the caterpillar is full grown, it enters the third phase, or pupa (also commonly known as a "chrysalis"). 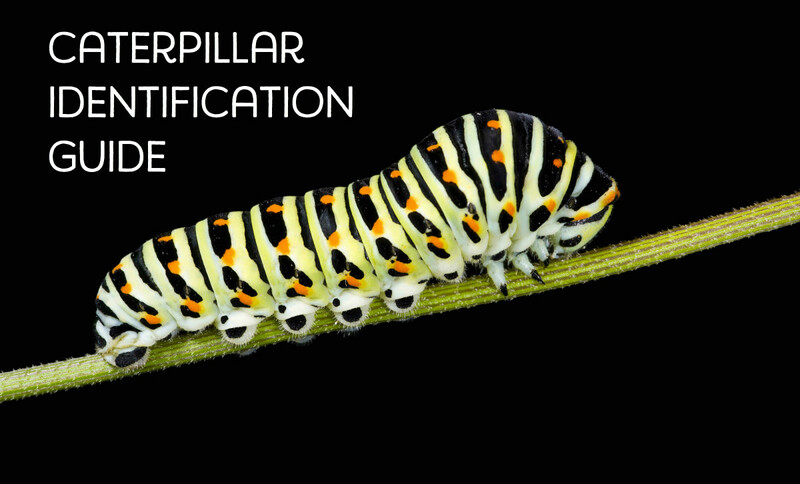 During this time the caterpillar is being rearranged into the winged adult, a process that truly boggles the mind. But when it's complete, the butterfly breaks out of the pupa, unfurls its wings, and flies off to find a mate. 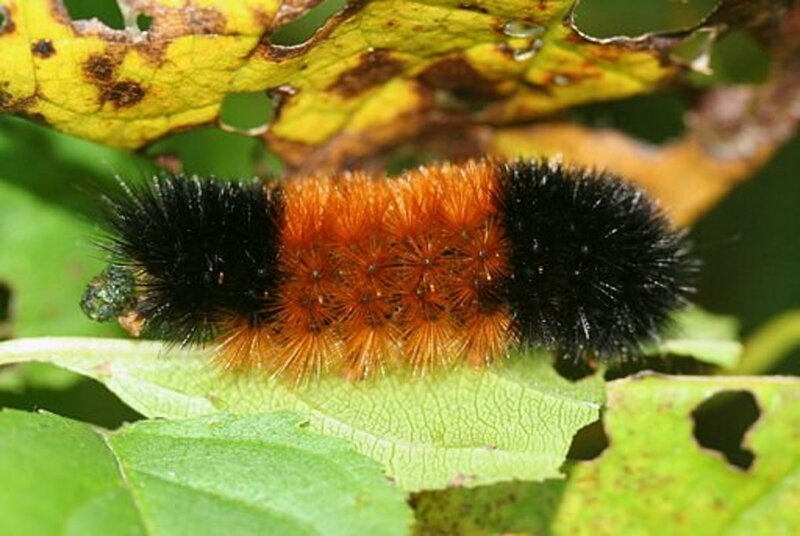 If the purpose of the caterpillar phase was to accumulate fat and energy, the purpose of the adult is to find a mate, lay eggs, and keep the cycle going. It's a beautiful process that is still being studied by scientists. When I was young, I set out on a plan to learn every butterfly species that occurred in my part of the country (upper Midwest USA). One of the first of these was the beautiful and regal monarch butterfly, Danaus plexippus. They were everywhere by late summer, in my yard and in the roadsides bordering cornfields. I could always find the big, striped caterpillars eating the leaves of the milkweed plants that were also everywhere to be found. Raising those caterpillars to adulthood became a summertime ritual. The monarch is often the first butterfly people learn to identify, and it occurs throughout North America as well as many other parts of the world. But the monarch is in critical danger. Shocking new data indicate that this iconic insect is experiencing a population crash. Less that twenty years ago, the number of monarch butterflies hibernating in the pine-covered mountains of northern Mexico was estimated at one billion individuals; this year, the estimate is only 35 million. This means you and I will see far fewer of these majestic insects, if we see them at all. 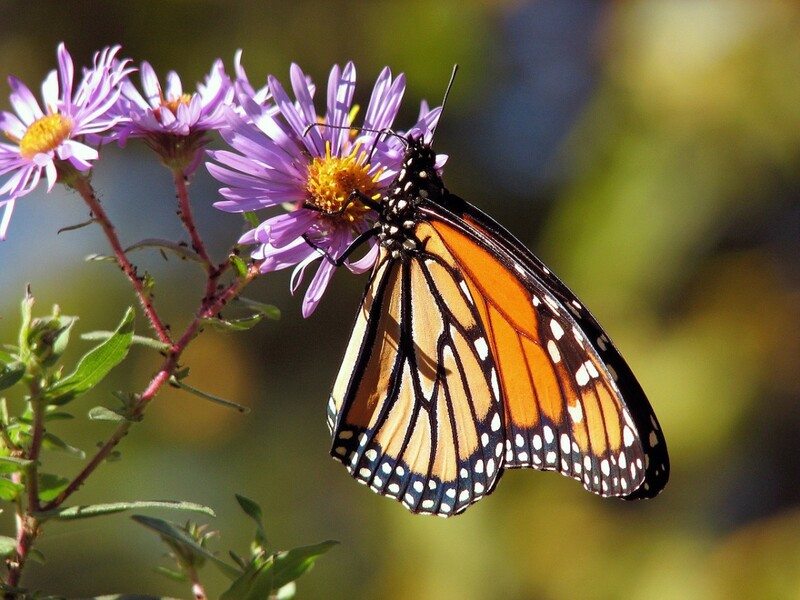 The monarch is on its way to becoming a very rare sight across North America. But all is not lost -- there are things you and I can do to help pull this species back from the brink. Since the caterpillar is the "eating" stage of the monarch and all other butterflies, it's critically important that there's enough food to go around. 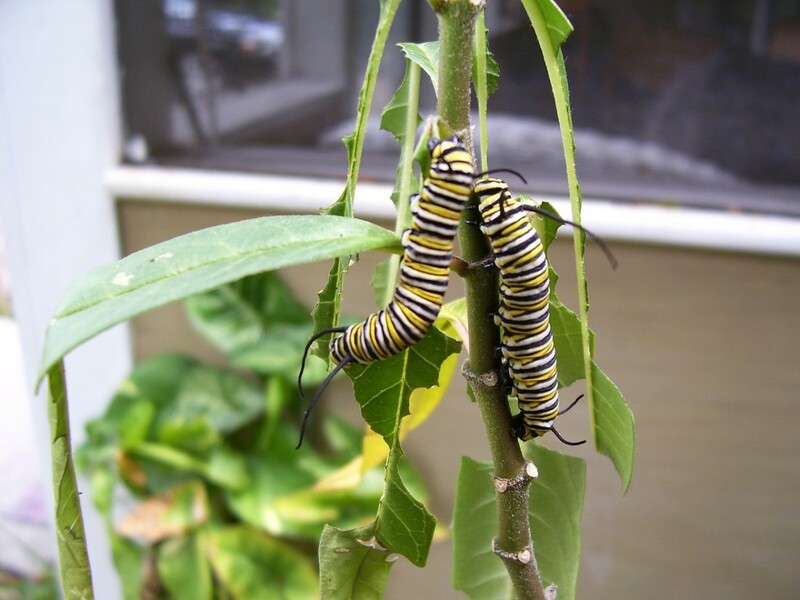 Monarch caterpillars are very picky -- they only eat one kind of plant, the milkweed (family Asclepias). There are several species of milkweed that occur in the monarch's range, and up until recently the plant was abundant in open places, along roadsides, and on the edges of fields. It was easy to find the caterpillars feeding on the leaves of milkweed plants across the entire country not so long ago, in ditches and field borders throughout the Midwest and East. Now, this magnificent animal is on the brink of extinction. 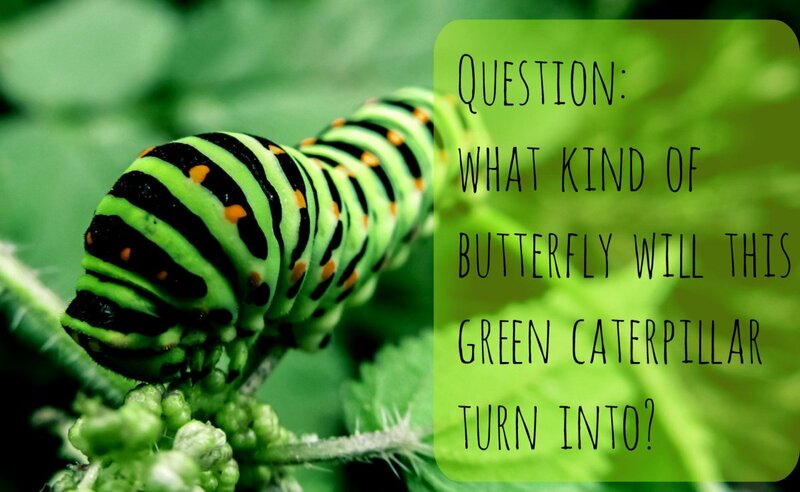 Most caterpillars have very specific food plant needs. They have evolved along with the plant, and will often die before they eat a different leaf. Monarchs are very strictly tied to milkweed species, and the female will basically never lay her eggs on any other kind of plant. 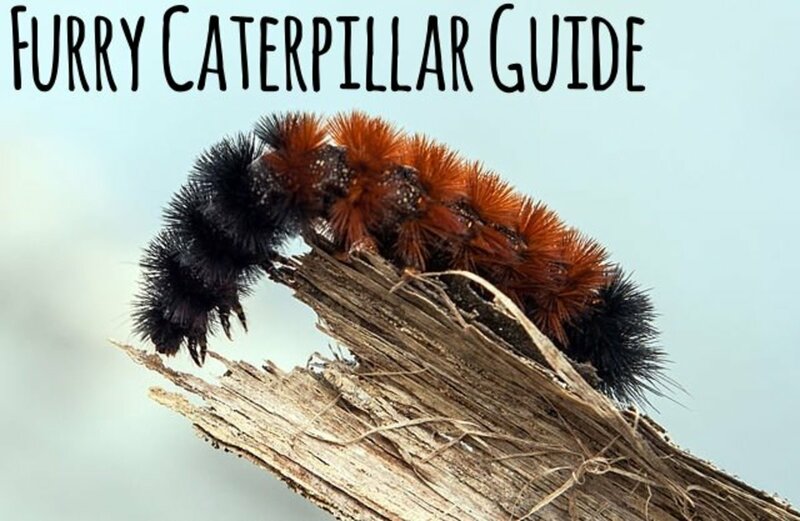 The caterpillars may be protected by the toxic white sap of the milkweed (the "milk"), and their striped coloring suggests a warning to birds and other predators that they taste bad, and may even by poisonous. Since the monarch butterfly needs a healthy crop of milkweed to feed on, the butterfly's survival is directly connected to the survival of milkweed plants across the country. But in the last two decades, the number of milkweed plants has plummeted. Part of this phenomenon may be related to climate change, but researchers have identified a more destructive force. It's thought that modern agricultural practices, specifically the use of genetically altered soybean and other crops, has caused wild milkweed to nearly vanish from the places it was once abundant. The connection between genetically modified crops and the decline of the monarch butterfly is direct and backed by research. Genetically modified crops lead to the destruction of all other plants in the vicinity. In fact, that's the whole idea behind this kind of agriculture. These plants are genetically altered to be impervious to the strong herbicides that farmers spray around them. The herbicides -- plant poison -- kill everything but the modified soybeans, corn, and so on. This means healthier crops, lower prices, and more abundant food. It's not entirely a bad thing, since you and I benefit directly from this arrangement. It's modern science and technology in action. But the monarch butterfly, obviously, does not benefit. Since the milkweed it depends on is killed by the herbicides along with all the other "weeds" in the vicinity, there are far fewer caterpillars that grow up to become adults. Let this pattern repeat for several years, and the number of butterflies you and I see dwindles rapidly. 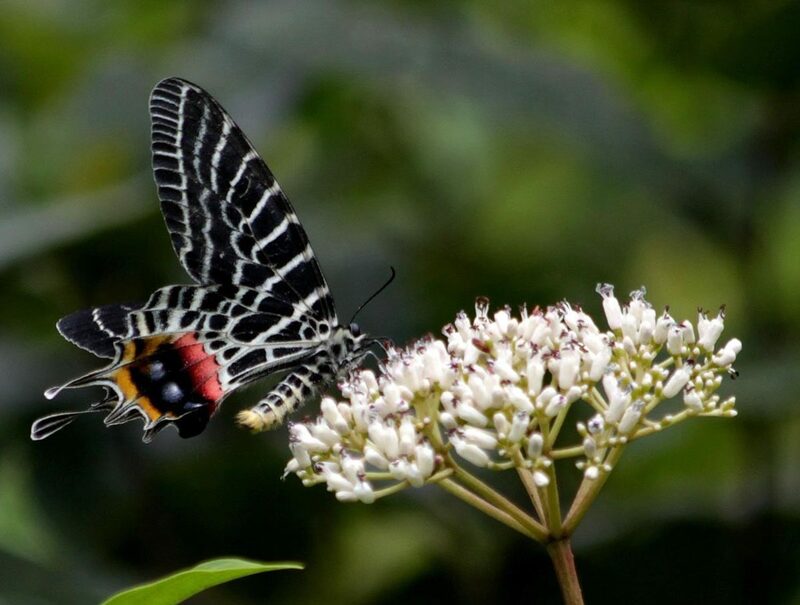 Things do indeed look bleak for the survival of these spectacular butterflies. With milkweed being destroyed by more aggressive herbicide use, and monarch population numbers down to a fraction of their normal level, it's not unimaginable that these butterflies will become a very rare, if not extinct, species. But you and I can make a difference. Planting milkweed in our backyards and parkways will help monarch butterflies by providing the food plants they need. If enough people join this initiative, the plant can become common again (apart from the agricultural areas where it may never return). Milkweed grows fast, is tolerant of most climates, and has beautiful flowers that attract a multitude of butterflies, including the monarch. It needs very little care. There is hardly a garden or yard that wouldn't look better with a few milkweed plants in it. Would you consider planting milkweed to help feed monarch butterflies? Nothing gets my attention quicker than a great image of a butterfly. I have spent many happy hours photographing them myself and learning about them:) Always nice to see someone encouraging plants which help them survive. I always let the milkweed grow in my garden, for the butterflies. 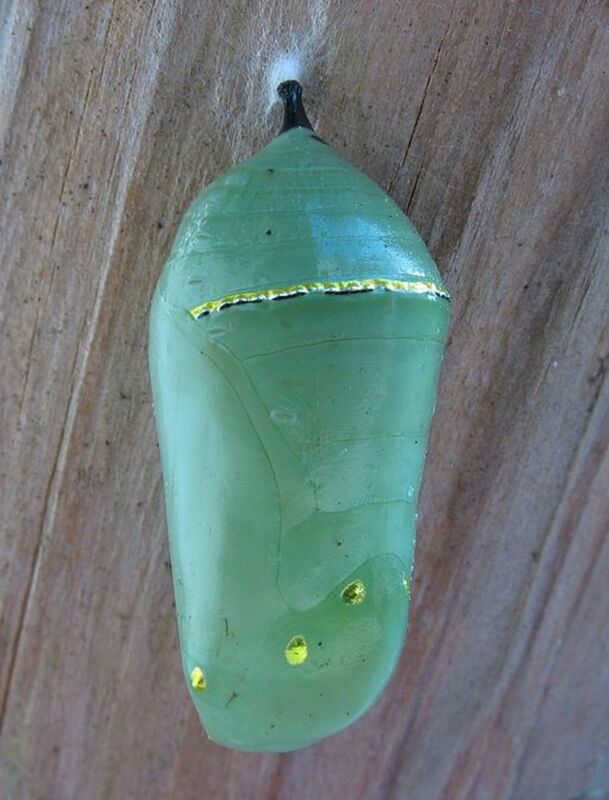 Although, I have yet to see an actual chrysalis. Thanks for writing this informative hub. My great aunt and uncle had milkweed in their backyard. I'll never forget how silky the seeds felt in my hands when I would crack open the pods when I was a little girl. I sure hope that we can save the monarchs. Just like I hope that we will be able to save the honeybees.